Breakfast is ‘breaking fast’. Being the first meal of the day, it definitely carries a lot more importance than the other meals. With just one month to go for your wedding, you become fussy and avoid eating a lot of foods which you usually die for. But even if you are dieting strictly in order to lose weight, you can never skip breakfast. Doing so will not only create alimentary or digestive ailments but also make it difficult to lose weight quite ironically, as the body tends to retain the fat due to lack of calories. Here is a list of the foods that you should ideally include in your breakfast. Oatmeal or Oats definitely top the chart here! With full of fibre and all the required nutrients, this is a wholesome food that keeps you full for a long time and thus helps you with dieting in a much healthy way. Oats is great at controlling the cholesterol level without draining you of energy. Eating oats reduce your waistline as you feel full and skip those extra junk snacks in between your meals. So brides, who are hoping to get fish cut lehengas for your wedding reception, make oats an integral part of your diet chart. In case you find it too bland and boring to have plain oats every day, you may caramelize some banana slices and add them to your oatmeal as shown in the above picture; or crush a few bars of chocolate, or spoons of chocolate sauce, or some tangy fresh fruits like oranges, strawberries, kiwis, etc. ; or simply a generous amount of honey and jam! Eggs are a great source of high protein, iron, vitamins, minerals, and carotenoids. They offer us the disease-fighting nutrients like lutein and zeaxanthin. So having two eggs a day can fetch you a great health. Like oats, Egg is also a super food. It makes you feel full, so you stay away from the high-calorie quick bites in between the meals and avoid the excess calories to get that desired shape. Be it egg boils or sunny side ups (like the one shown in the picture above), French toasts for omelettes, make egg an integral part of your breakfast. You may have eggs on alternate days. Being a good source of protein eggs are important for people who are on a low carb and high protein diet. Eggs are really helpful in weight loss without losing out the nutrients. Whenever possible try to use brown bread for your morning toasts instead of the regular white bread. 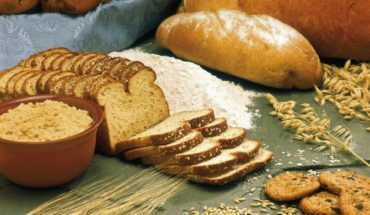 While manufacturing white bread, the flour gets more processed and that’s why the germ and bran of the wheat grain get removed, leaving only the starchy endosperm which is of least nutrition. Having brown bread will make you avoid the added sugar and high fructose corn syrup of white bread consuming which on regular basis may cause diabetes and cardiovascular problems. Talking about toasts and bread, you should also try having multi-grain bread whenever possible. Multi-grain bread is made using more than a single type of grain. They include oat, barley and a few more apart from the regular wheat. Thus they contain vitamins like B1, B2, B3, E; folic acid, calcium, phosphorus, zinc, copper, iron apart from the dietary fibre. So you can understand what nutritional value a multi-grain adds to your health and thereby gives you that much required natural inner glow on your face and skin before your wedding. Almonds help in maintaining the blood sugar, blood pressure levels and also cholesterol levels low. Walnuts help with the health of heart as they are rich in Omega 2 fatty acids, and also strengthen bones. Although high in calories, cashew nuts are full of essential minerals and good fats. Want to impress your in-laws by being a highly active and intelligent daughter-in-law? NUTS will help you in this mission! Have a handful of almonds or any of the other nuts and feel the change in you. Honey is rich in Vitamin B and other necessary minerals. It has low glycemic index, which is why it doesn’t affect the blood sugar levels like sugar does. So you can use it as a substitute of sugar in whichever food you want. It can be an excellent dressing element for your toasts, milk, confectionaries, etc. Having honey improves our voice. So if you are a to-be bride have honey to sing in a sweeter voice to your fiancé or husband. Medhu Vadas might be a fried food, but quite a popular choice for breakfast menu. Made of urad dal which is rich in iron, folic acid, calcium, magnesium, potassium, protein and Vitamin B; this is a great food to have, especially for the vegetarians. You can make this fried snack with the help of air fires so that it requires the least possible oil and becomes a totally healthy food, in every way. Eating vada improves moisture in your body naturally and thus you don’t need a frequent spa for getting silky smooth skin. So try to love this edible rings while you are already in love with your solitaire! Pongal is a highly nutritious and yummy food. It is one of the best options to have for breakfast. It’s a dish where rice is boiled in milk with added lentils or moong dal, jaggery and bit of cumin; and usually served with sambar or coconut chutney. Interestingly, eating Pongal reduces stress and thereby reduces hair fall. Nothing can be easier than this South Indian mixed vegetable stew. Just take some fresh vegetables like carrots, cauliflower, okra, French beans, sweet potatoes, eggplant, etc. and brim it for a while. Season it with a pinch of salt, cinnamon powder and a few curry leaves. Nothing beats the good effects of eating seasonal vegetables on our health, skin and hair; so sambar is definitely something to swear on, for all you South Indian brides-to-be. We Indians have our own version of pancakes in form of appams. These are made from a batter of fermented rice and coconut milk. Extremely easy to make, appams are a popular choice in Indian breakfast menu. In case you are thinking of a light yet healthy breakfast then appam is the solution for you. Upma is a common breakfast food which is very much fond by children. Whether among North Indians or South Indians, Upma is pretty much popular nutritious food. It is a thick porridge made of semolina or coarse rice flour with some added vegetables and nuts. This can be a good change in your daily breakfast when you get bored of stuff like oatmeal and protein shakes. With high nutritional value, it will keep your daily calorie count in check too. One should always try to have at least one fruit a day. Raw fruits are better than the canned fruit juices as they are rich in fibre content. Try out the different fresh seasonal fruits every day. Try to make a fruit platter of assorted fruits like kiwis, oranges, apples, berries, etc. and have and include them in your daily breakfast. This way you’ll get a lot of vitamins and fibre. It’s known to all, how fresh cut fruits and juices help us in getting a glowing and beautiful skin and hair; which is so very important for anyone whose marriage is round the corner. At times a glass of fresh fruit juice is all you need to feel fresh and kick start your day. Try different fruits on a weekly basis, if not daily. Try to avoid the canned ones with preservatives in them. Instead get your juice done at your home by simply using your juicer. Flush out the toxins out of your system and get a flawless glowing skin with a daily glass of fruit juice in the morning. Especially in summers, it gives you a refreshing start. It’s a steamed rice cake very popular in South India. Being easy to make with coconut flavour, this is a common breakfast food which is healthy as well. This is yet another interesting twist to the regular breakfast menu. Quite popular among South Indians, puttu is a filler (just like oatmeal) and great to start a day with. Who doesn’t like those lovely soft supple idlis? But for those who are on a diet control mode can go for Oats idlis instead of the regular ones. Have them with sambar and coconut chutney. People who are on low carbs diet should certainly try the oat idlis instead of the regular fermented rice idlis, or the white idlis. This way you not only get the required fibre but also keep the calories in check. MILK should have topped the chart, isn’t it? It’s the one food with all the nutrients. Considering this fact, many of us just rush to the workplace after gulping one glass of milk; which we shouldn’t be doing. Having milk gives you almost all the required nutrients. Being rich in protein, B12, etc. ; milk will help you in attaining a healthy glowing skin and hair. This is a super food which every nutritionist or dietician will suggest to have at least once in 24 hours. Losing weight in a short time often gives brides panic attack. But with TBG nutritionist, it becomes a healthy and easy-going thing. In case you are a would-be South Indian bride, taking too much tension about getting the right weight in a healthy way, then TBG is the answer for you. Contact us and we’ll guide you thoroughly. Why Bridal Diet Plans are not a good practice? Why Organic foods are not the only Healthy option for Brides?